The IT-as-a Service business model of iON a cloud based ERP solution was conceptualized by TCS through close interactions with Small and Medium Businesses (SMB) across relevant stakeholders, developing a deep understanding of their ICT consumption pattern and business challenges. An innovative service model, iON uses emerging technologies like cloud computing and virtualization to create a holistic, fit-for-purpose solution stack for SMBs integrating hardware, network, software and services. And all of this is backed by business, technical and consulting services by iON. 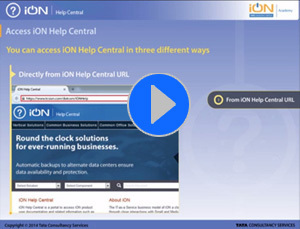 The iON Cloud ERP Solution is highly modular, scalable and configurable giving SMBs the benefits of increased efficiencies, faster go to market, predictability of technology as well as spend, IT talent on call and better business results.